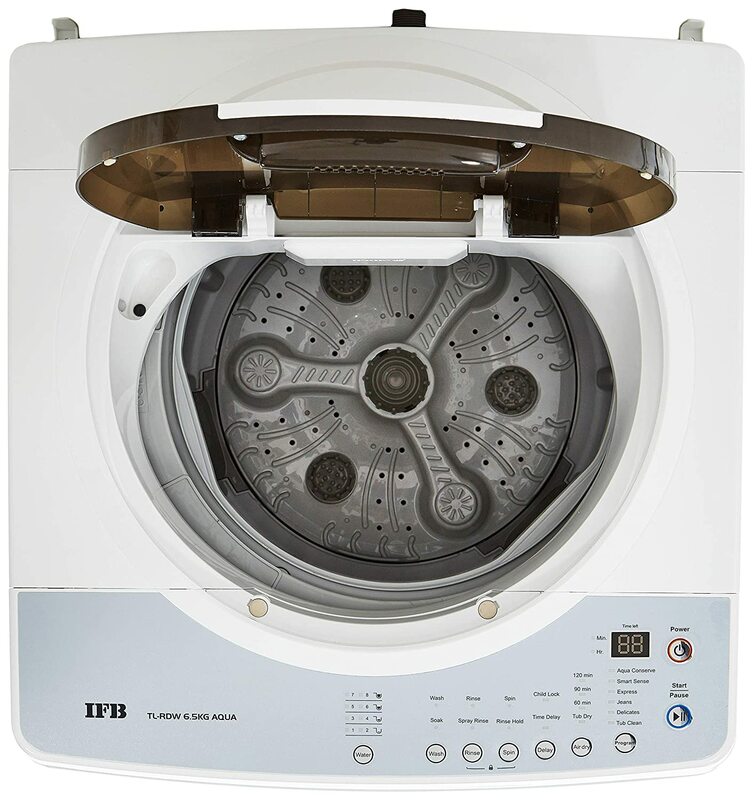 Ideal washing machine from IFB IFB TLRDW Fully-automatic Top-loading Washing Machine is tailor made for the Indian households. It comes in Ivory white colour. The Washing Machine comes with 8 wash programs making the process easier and convenient to wash all kinds of clothes. 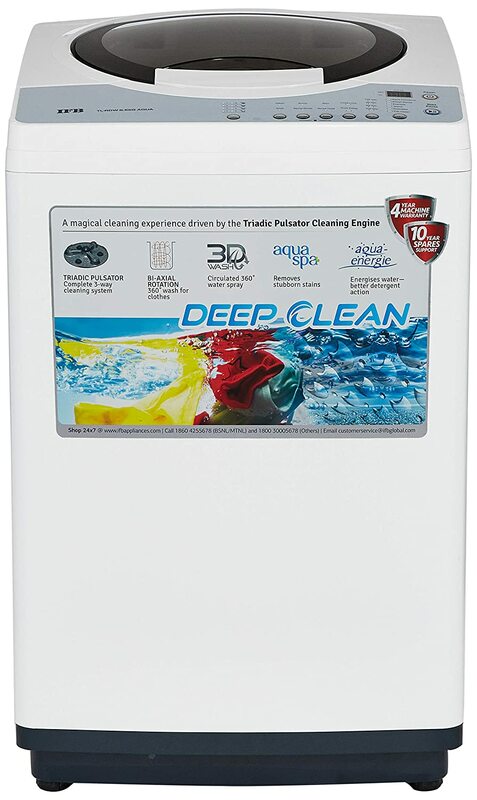 Its 6.5 kg allows you to wash large number of clothes in one go. 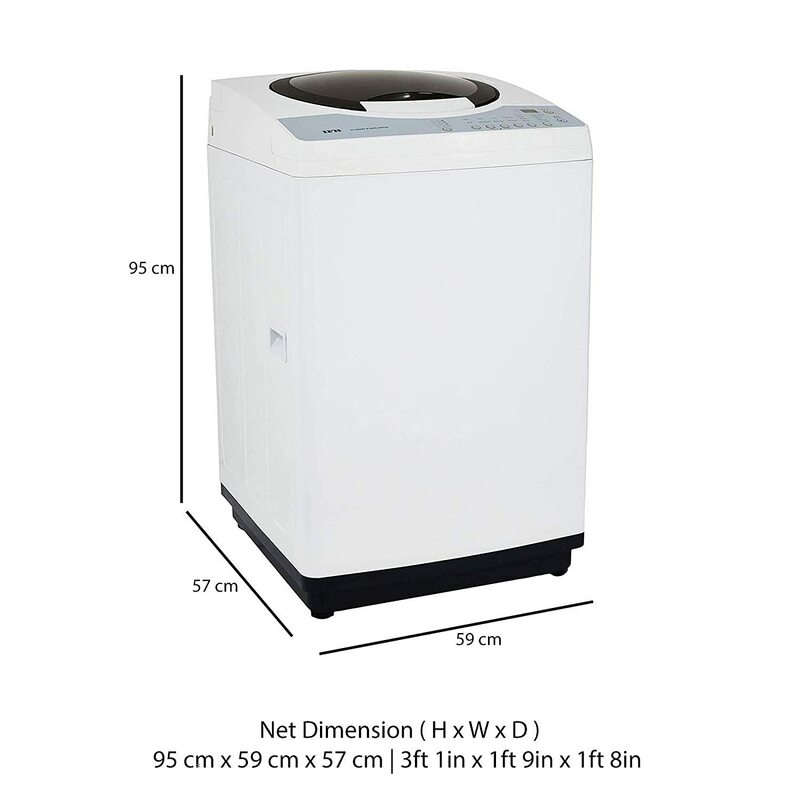 Main features: IFB washing machine comes with 8 different water level selection to ease your workload. This machine comes fitted with a large LED display which enhances the look of the machine. It provides auto bleach and softener dispenser. Lint filters and crescent moon drum improves the wash quality. Moreover, the machine uses Aqua energie feature which treats the hard water before using it. Smart sense technology, express wash and aqua conserve feature makes it an ideal purchase. Some other features which work towards high quality wash include aqua spa, triadic pulsator and 3D wash. IFB offers a warranty of 4-year on this product.